Boot-shaped peninsula 80 minutes from Melbourne. 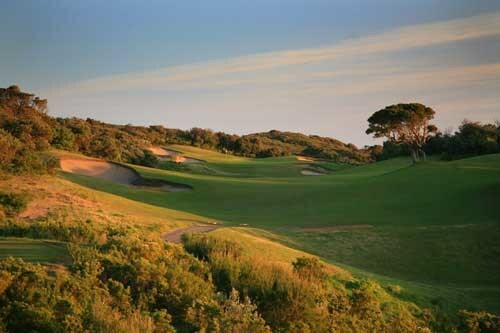 Golf courses include The National, Moonah Links, The Dunes, and more. 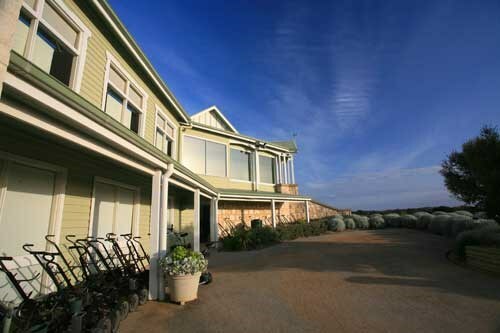 Very popular wine region and also features the best beaches in Victoria. 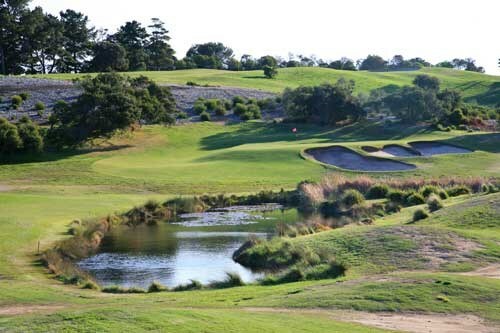 Eagle Ridge Golf Course features a number of well bunkered par 3 holes, at least half a dozen holes where water comes into play and the ever-present wind that is common on the Mornington Peninsula. Extensive landscaping and course beautification has made Eagle Ridge a lovely course to look at and an enjoyable course to play. 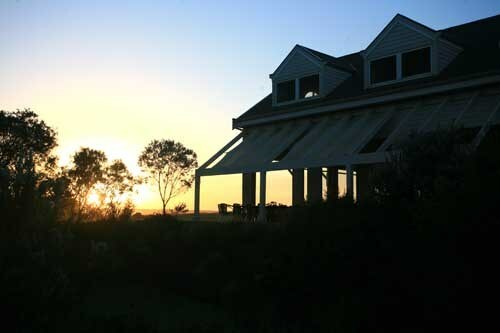 Eagle Ridge is set on the spectacular Mornington Peninsula, a short 70 minute drive from the centre of Melbourne. 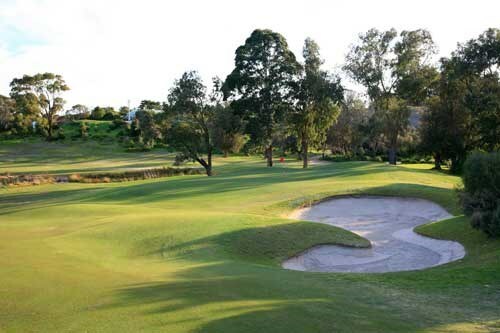 Ranked as one of the top 25 public access courses in Australia, the course welcomes all golfers and offers memberships (corporate and individual) as well as excellent facilities to cater for corporate golf events. 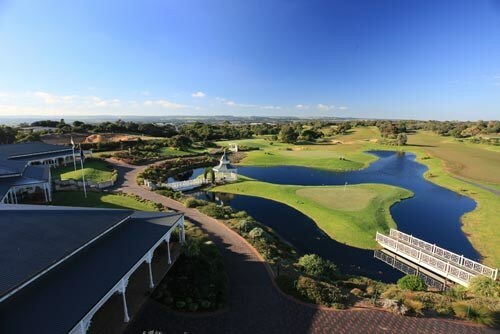 The golf course is an ideal layout for all standards of golfers and the well manicured fairways, aesthetically pleasing garden beds and surrounds combined with exceptional service levels ensure a memorable golfing experience. 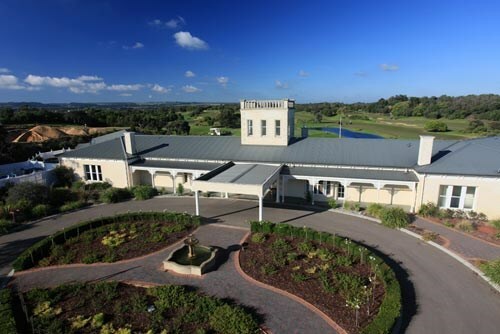 Eagle Ridge is also a perfect venue for functions and weddings and its colonial style clubhouse forms a perfect backdrop to any corporate or private function. A gentle opener, avoid the fairway bunkers on the left and lay up short of the bunker in front of the green with your tee shot. This will leave you with a short approach to a narrow but flat green. I advise the average player to use 3 shots to get to the green as out of bounds and trees on the right create danger from the tee. A slightly downhill shot to the green with a mid to long iron will then leave you a short pitch. A blind tee shot that requires accuracy. Upon reaching the crest of the hill, it is all-downhill from here. A mishit shot can often run onto the green, which is guarded, by a bunker on each side. This medium length par 4 is a dog-leg right. Avoid the deep fairway bunkers left and right with a fairway wood or long iron off the tee and you will get a look at the green. A medium iron should be enough from here. The first of a challenging set of par 3’s. Due to the hollow between tee and green this hole often plays a little longer than it looks. Picturesque with a rural backdrop it is always nice to hit the green here. A slight double dog-leg. Once you are past the fairway bunkers from the tee, it doesn’t get any easier. A narrow tree lined “shute” is to be negotiated with the second shot. Two large bunkers at the front and one at the back left guard a wide green. A beautiful vista. While looking down at the green from an elevated tee, it is easy to get lost in the colourful landscape of this hole and forget about the six deep bunkers surrounding the green. A tee shot finding the green is a satisfying reward in itself. This short par 5 is not necessarily a pushover. Fairway bunkers and a lake guard the right side of the hole. Fairway bunkers on the left catch many stray second shots. A short approach for the third shot is required to a well bunkered green. From the back tee, this hole is a monster. The longest par 4 on the course, to par here is a great achievement. The second shot is uphill to a narrow, double tiered green that is framed by three bunkers. Running your shot onto this green could prove quite difficult. This beautiful hole contains many features including extensive landscaping with a waterfall and water carry to the green. A bunker and lake left of the green and scenic rural views in the distance make this one of the prettiest par threes you will play. The undulating green is the place to be but if you miss make it to the right. A small water carry from the tee to the flat fairway below. Avoid the fairway bunker leaving yourself a mid iron second shot. Make sure you have enough club in hand as most shots to the green are left short. This short par 4 is reachable from the tee for the long hitter but it is a difficult green to access. 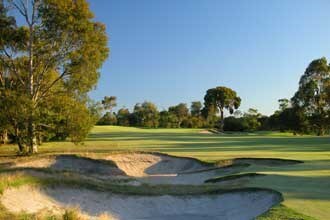 Avoid the deep fairway bunker on the left and play short of the greenside bunkers from the tee. This will leave short pitch to a reverse ‘L’ shaped green. Extensive landscaping of this tee system makes it a pleasure to hit from. Water trouble on the left and bunker trouble on the right makes for accuracy required from the tee. Out of bounds is not far behind the green while bunkers at the front and left of the green are to be avoided. There is a wetlands area right of the green. The wetlands in front of the tee should be easily carried. A fairway bunker on the right and out of bounds on the left demand an accurate tee shot on the right to left sloping fairway. The second shot, usually with a mid to high iron, must be spot on to avoid the four bunkers around the green. Ten bunkers on this hole are readily awaiting the golfer of all standards. It is a short but straight and narrow par 5 that is heavily treed along the right and out of bounds all the way along the left of the hole. The pot bunker on the right of the fairway catches many second shots. Beware the three bunkers behind the green. The last of the par 3’s. This par 3 is long but not extremely difficult. Although flat terrain all the way, the island of rough in front of the green catches the running ball. A bunker each side of the green catches the errant tee shot. A double tiered fairway, bunker and water hazards makes this an exciting finishing hole. A drive to the furthest point of the fairway top tier gives the golfer a good look at what lies ahead and below. 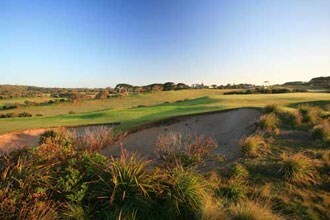 Cross bunkers some 40-50m in front of the green must be carried by those trying to reach the green in two. If laying up short of these bunkers, only a short iron is required to reach the green in three. Beware the water left and behind the green and the deep bunker on the right. A par here will leave you walking off with a smile on your face. 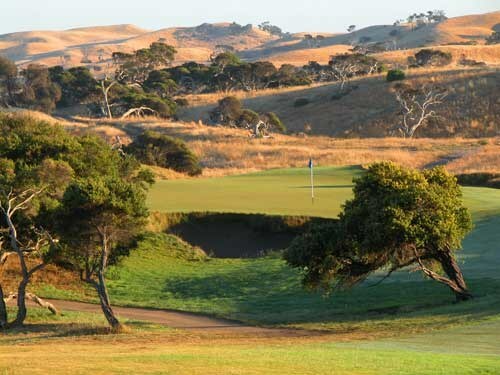 No golfing trip to the Peninsula is complete without a round at the oldest and most scenic of all the courses in the region - Flinders Golf Club. 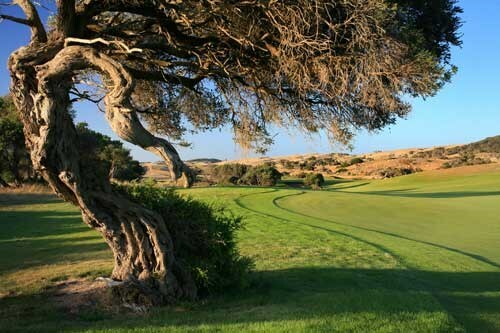 Situated atop the cliff tops overlooking Bass Strait and Westernport Bay, Flinders provides a wonderful golfing experience combining the sense of tradition that comes with being over one hundred years old with top quality playing conditions. As you play the 4th hole, the coffin, let your mind wander back to the day in 1926 when the most famous golf course architect of them all, Dr Alistair Mackenzie convinced the committee of the day to change the hole from a Par 3 to introduce carries over both ravines. 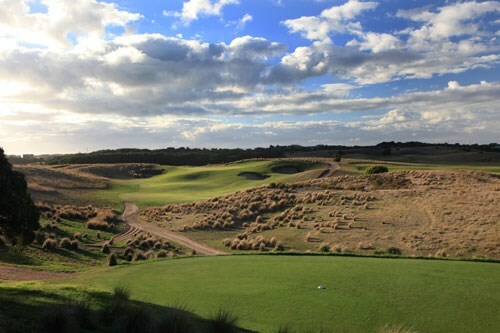 Or as you play the 5th, with the wind blowing in off Bass Strait, picture a young Peter Thomson honing his skills on this links style Par 5 in preparation for his assault on the Open Championship. 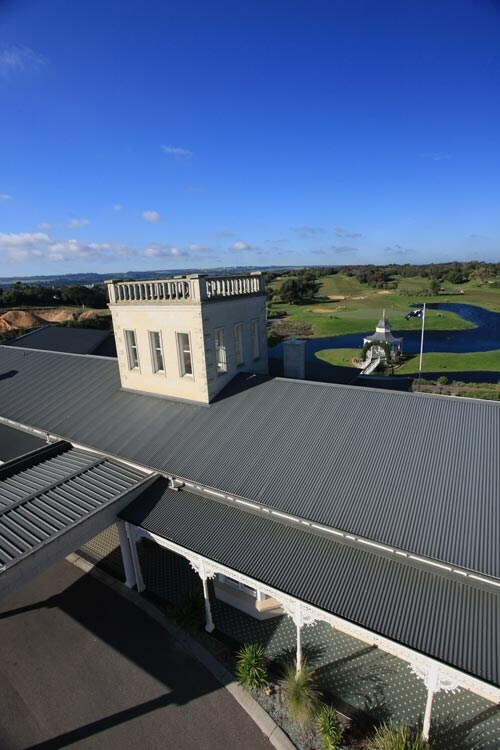 Maxwells - This exciting opening hole is played from an elevated tee that provides spectacular views across Westernport to Phillip Island and Bass Strait. 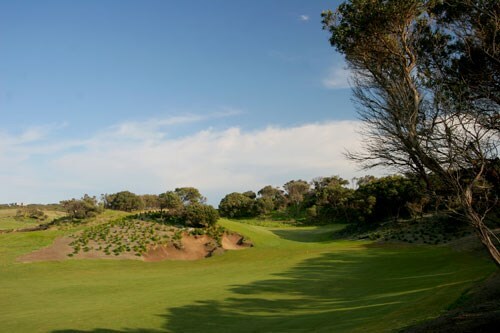 The short length of this Par 4 will tempt the longer hitters to have a crack at the green, however a predominant wind off Bass Strait blowing across the fairway will punish the errant tee shot. The more conservative player will play a fairway wood or middle iron into a narrow landing area leaving a short approach to a heavily bunkered green. St Andrews - One of the more testing holes on the course drives need to be left of centre to open up a well guarded green. The greenside bunkers and contoured green make getting up and down a real challenge so they are best avoided if possible. 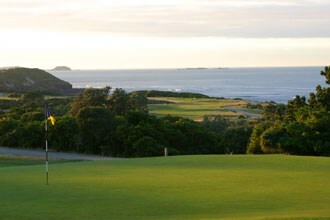 West Head - A long Par 3 playing every inch of its yardage especially on the days when the prevailing headwind is blowing. Tee shots landing short should favour right of centre as the fairway slopes from right to left. Par is more easily achieved if short of the green rather than long. 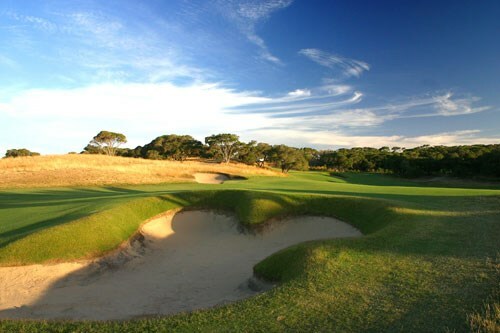 The Coffin - Flinders' best-known hole, designed in 1926 by Dr Alistair Mackenzie. The perfect tee shot will land on the plateau between the two ravines (coffins) leaving an approach shot to a severely sloping green that needs to finish below the hole to allow an uphill putt. On Navy training days cannon fire provides an additional hazard. Beach Hole - The magnificent coastal view makes a loss of concentration a real danger. 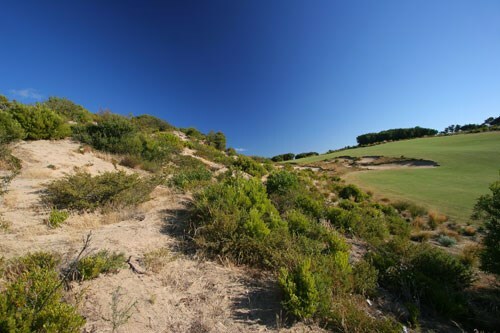 Played along the cliff top that borders the left hand side of the fairway, a good tee shot is required to avoid strategically placed bunkers on both sides of the fairway. Longer hitters can attack the green with their second shot however a '3 pack' of grass bunkers at front calls for the strategic play. A wayward slice will be punished by a cluster of greenside traps. 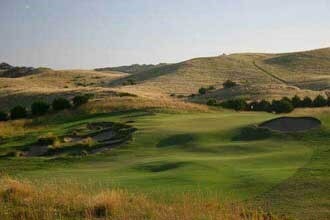 The Hill - When a south-easterly breeze is blowing, swooping hang gliders provide a unique backdrop to this hole. A difficult driving hole with a blind tee shot up and over the hill, best line is right of centre to avoid the mounding in the left rough with any tee shot starting left a good chance to disappear over the cliff-top. Take one more club to compensate for an uphill approach, and when on the green remember the putt will break towards the sea. Casuarina - A beautiful driving hole of a punishing length which justifies its rating as one of the course's hardest, this hole requires two solid shots to reach a well-contoured green that provides further challenges before play on this hole reaches its conclusion. 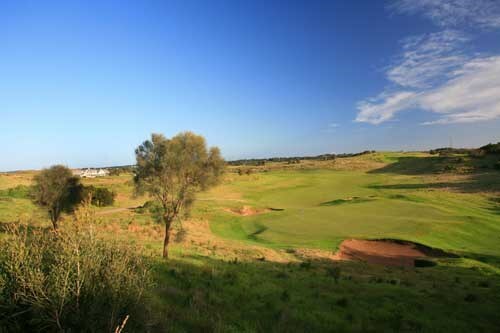 Pine Gap - A dogleg left, tee shots must be aimed right of centre to avoid bunkers on the left hand side of the fairway. On approach, take enough club to carry the bunkers on the right hand side while taking care not to stray left where a grassy swale waits combined with a sand bunker. Tea House - A tough shot to a narrow green, bunkered both left and right, this Par 3 is at the highest point on the course, and wind consideration is important with club selection.? 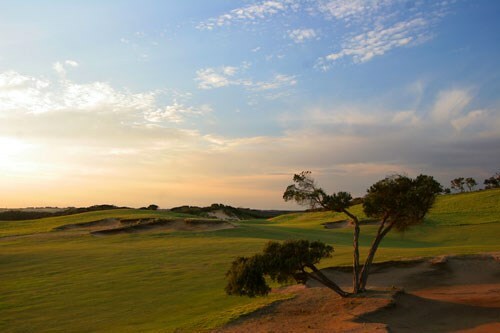 If the tee shot does not bring a smile, look to the right as you leave the tee and the view will certainly remind you that a bad day on the golf course beats a good day at the office. Darley - A good driving hole that winds its way slightly right with mounds down the left, and where cypress trees positioned on the right collect many errant tee shots. An uphill approach shot to a green that slopes steeply from back to front leaves players who fly the flag a treacherously quick downhill putt. Fairly Dell - Another great short Par 4, a blind tee shot is played over a tree-filled dell onto a fairway that slopes downhill towards an enticing set of 3 bunkers. A long Iron or 3 wood best suited for positioning, then onwards to right hand dogleg green. A white marker placed over the dell provides a line that keeps tee shots well clear of the out of bounds on the left side of the fairway. Approach shots require skill and although short in length the hole is considered par material at best. 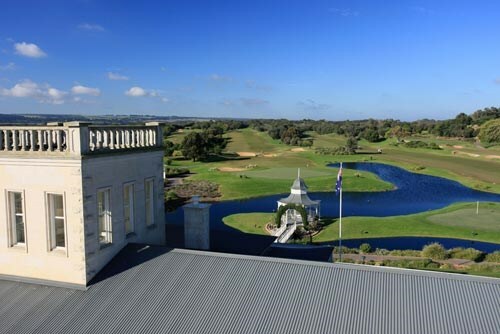 Aunt Sally - This is our signature hole with a spectacular view from an elevated tee.? 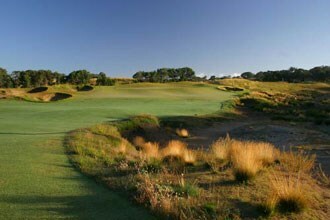 A small green that requires a precise short iron shot with gentle zephyrs make club selection on this hole difficult.? 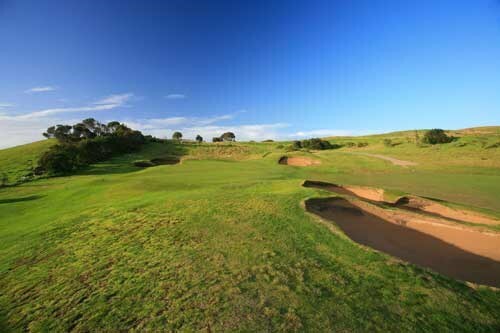 With bunkers front and left and grassy hollows to the right, par is difficult to achieve if the green is missed. Racecourse - The tightest drive on the course, this hole is a solid dogleg left. The drive is played from an elevated tee to a narrow landing area that slopes left to right. Long hitters can cut the corner and be rewarded with a short pitch to the green, however there is no margin for error. For higher handicappers it is advisable to leave the driver in the bag. A well-contoured green presents further challenges. Par is more easily achieved if short of the green rather than long. Shooting Gallery - A deceptively difficult hole with tee shots played from a protected teeing ground being exposed to the wind as they travel closer to the green. The wind is always stronger than anticipated so take a longer club than you feel is necessary, as the bunkers will swallow most shots landing short of the green. 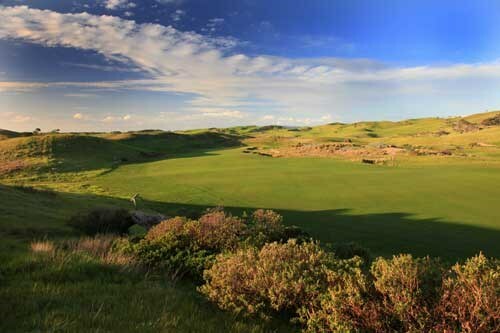 Siberia - Depending on the wind conditions this is a long or short Par 5. Aim at the fairway bunkers from the tee as they are out of reach of the average golfer. The second shot does not hold many dangers, although the bunker strategically located 20 metres short deflates many attempting to get home in two. On approach, take an extra club to allow for the elevated green making sure you avoid the cluster of bunkers short of the green. 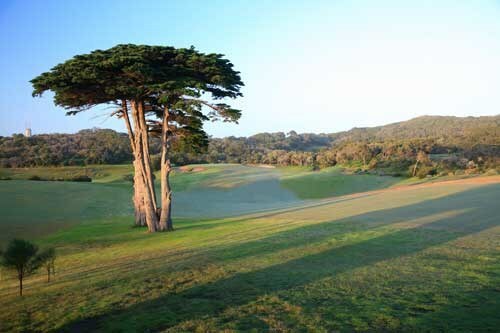 Lambertiana - Picturesque tee shot down a fairway lined by Cypress trees left, and three strategically placed bunkers right, waiting to catch the errant drive. A well-positioned tee shot will ensure an easy approach to the green. Lakeside - A strong Par 3 that is susceptible to the wind with the result that it always plays longer than you think, take care playing this hole as many a fine round has come unstuck here. A tee shot to the middle of the green still leaves the player the challenge of reading the subtle contours of this green. Home - A challenging dogleg to complete the round, the tee shot must be directed right of centre to avoid the fairway trap left. This being accomplished the iron can be aimed at the heart of the green, with sufficient club taken to avoid the pot bunkers short right. 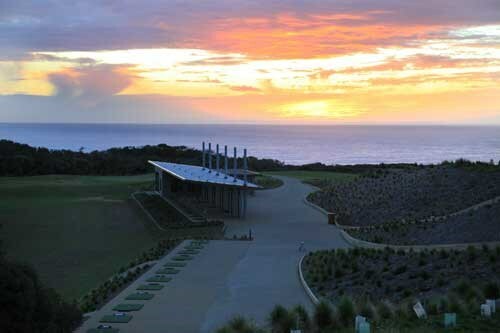 Your final putt will bring to an end, a round played on one of the most picturesque courses in Australia. 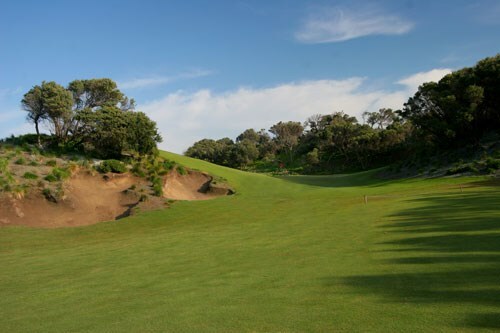 Frankston Golf Club is known as the "Millionaires" club and is a private, 9 hole course located in the seaside suburb of Frankston. 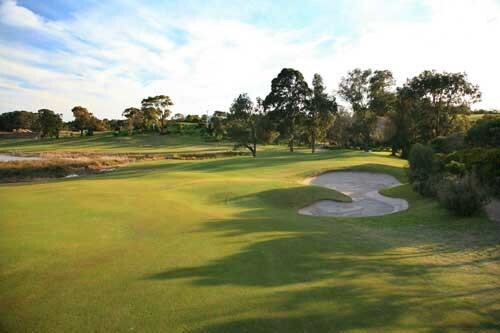 It is a fun layout to play affording views over to the city of Melbourne, tight fairways and well maintained overall. 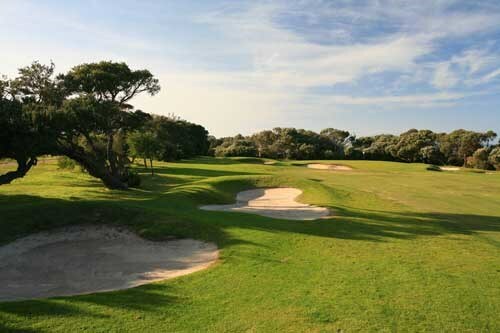 Moonah Links Open Course is a natural stadium layout with wide undulating fairways of pure couch grass punctuated with pot bunkers, leading onto large multi-tiered greens make this course a true test for all levels of golfer. 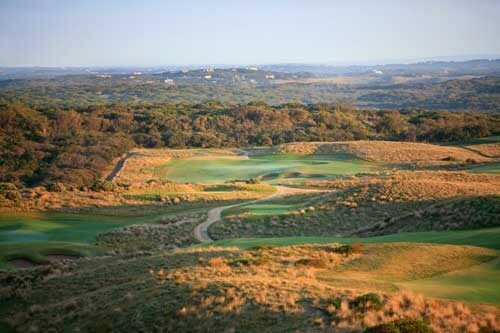 The Open Course at Moonah Links is the first ever 18 holes built and prepared for a national championship. With exceptional viewing platforms for spectators. 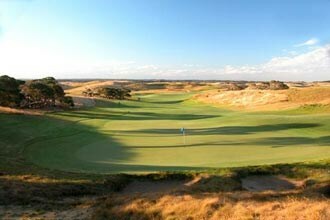 It is one of the longest courses in Australia, and probably in the world in this category. It measures 6783 metres, so it offers more than a casual stroll in the outdoors. It is a mighty and ferocious test of golfing ability, the likes of which even the top pros only occasionally experience. In terms of difficulty it is estimated a club-handicapped player would merit an extra eight strokes assistance to return a net par score, yet the course has great flexibility. It can be played at many different lengths depending on tees selected. Visitors will get a whiff of what top championship play is really like. The course opens with a relatively short par four. 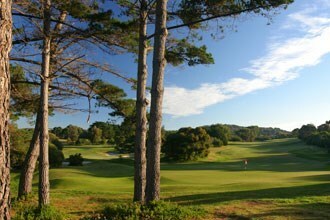 Yet is asks for a good tee shot and a not so easy approach to the green perched amongst the Moonah Trees. Then there is the first acquaintance of the depth of bunkers? and speed of putting. Now starts the course proper and it is evident what one is in for. In this case a long par five along a flat corridor, past six fairway bunkers, plus a deep one the the green gate. The green is on a natural ridge, with an easy run-up but severe fall-away at rear. This can be a beast of a hole depending on the wind and your strength. It needs a long high drive to make it to the plateau, from where the green is in view, otherwise it is a dangerous blind second uphill. Here is sheer beauty to gaze at but a hard one to play. Par fives on the Leviathan are all huge, but this one is often downwind and therefore easily reached in three strong shots. But a gauntlet of deep bunkers bar the way. Sheer joy. This is the first of the four par threes, completely natural. It was 'sitting there' in nature, waiting to be discovered so that it just had to be smothered. Three hugely deep bunkers are the principle features. An inspiring long shot across a delightful valley. Few players can reach this par four in two shots, but it is designed to sort the best from the worst. The green is bunkerless, but a severe slope on the front makes up for that! 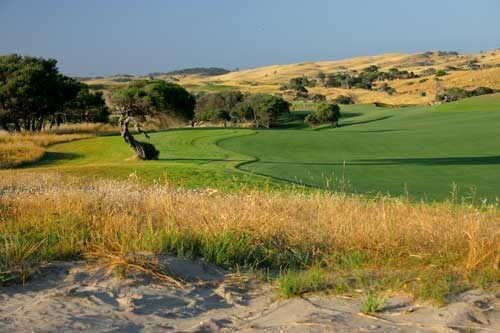 Here is a classic par three of medium length on the highest point of the course which means more wind, usually across. A green to test one?s skill. A par four of maximum length with punishing bunkers along the way. Few will reach this hole in two with its raised green. The best will do it though and the rest will have to watch. I like to call this one a ?bit of Irish?, as it reminds me of one of the holes so natural one wonders it if was brought from the Emerald Isle. Par fours will be well earned. Small green and some undulation. This can be awesome, as it turns to the Southwest and climbs to a high green. The tee shot is not a faint heart nor the second shot a less than well struck solid hit. The green has two levels across. 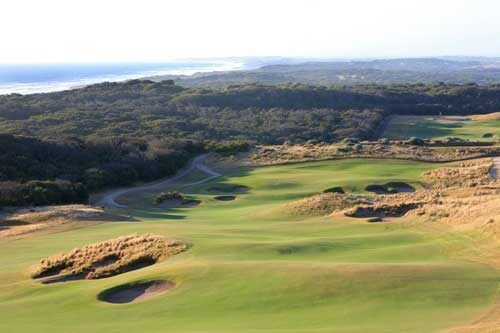 It calls for a full blooded wallop at 200 metres, but there is bunkering only short right and high back left, leaving a wide entry route short and left. The green is a piece of fun too. Two putts not so automatic. Looking more formidable than it really is, the drive is into a wide basin so that everything ends in the fairway and the green ahead is a shelf without any bunkers. But don?t be deceived. This hole can bite you. 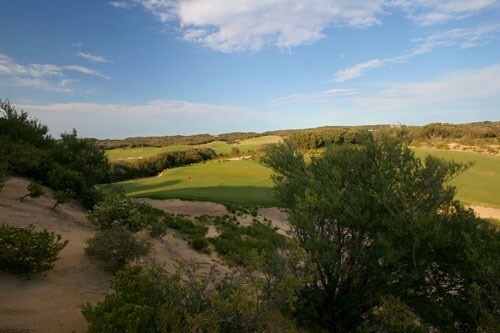 A huge par five that can be seen from the tee all the way to the green, as it twists through bunkers into a vast hollow that was once a vineyard, before it ascends to a green half up the massive ridge. Unique. Only found in places like Ballybunion and Lahinch. A drive over a large rough height into a low basin, from which the forward approach is upward to a small green. A respite though before a deluge to come. Here is an almost-par five and on many windy days barely reachable by the power hitters in two. And it's a good old fashioned blind drive over a transverse ridge. That is not all. The green is still a distance yet with two deep bunkers standing like stone lions to guard the gate. The hole is a test of power mostly. A long par four. The task is to get the second shot onto the upper deck a la St Andrews. Just like The Old Course, this green is not always receptive. Yet there is only adventure here for the stout hearted. This ranks with the world's greatest par threes. For one thing it has a tantilising length across a valley and the green slopes sharply so that any shot too strong will be in serious trouble. Being short is equally punishing as the apron slopes even steeper. There are so many possibilities of a high score here. It should be totally fascinating to watch shaky leaders confront this penultimate hurdle. I leave it a puzzle. Longest, as it should be, perhaps exhausting, a minfield of danger from the first shot to the last. There are eleven bunkers waiting along its length to catch the unwary or careless. This is designed to be a spectacular finish. It should make a grand arena of wide viewing and entertainment. 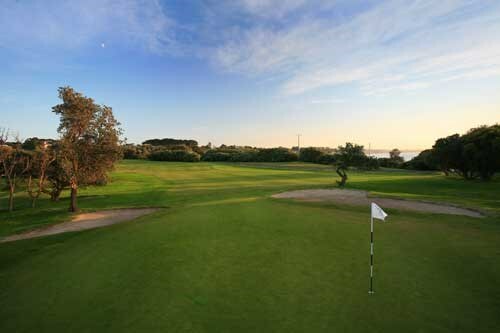 Mornington Golf Club is in the heart of Victoria's famed Mornington Peninsula golf course region. From most tees, the view across Port Phillip Bay to the city of Melbourne is breathtaking. 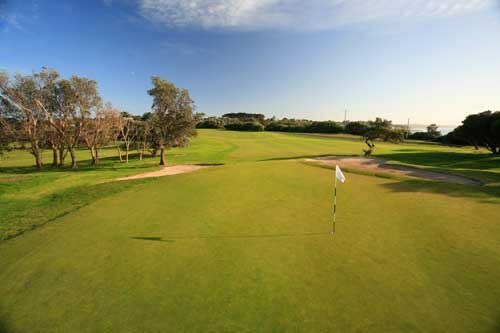 Fairways are lush Santa Ana Couch grass, offering near perfect lies, and the greens are fast with subtle breaks, so you need to get your line right. 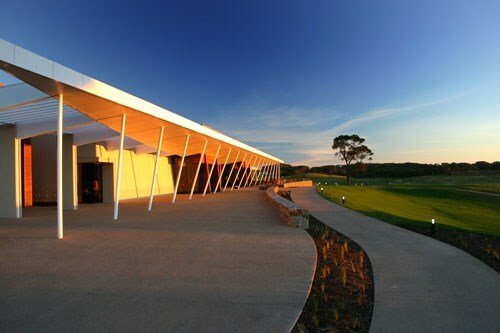 Whether you're enjoying the Mornington Golf Club's ultra-modern club house or shopping in the trendy streets of Mornington, visiting cellar doors, relaxing on the beach, or putting for par, the Mornington Peninsula has it all. A straightforward hole to start your round. An iron from the tee will leave a simple short iron for your approach. The longer hitters may want to take on the bunkers. Up a rise and dogleg left to a challenging green with undulations and plenty of turn depending on the pin position. A warning to right-handers ? a slice from the tee and a watery grave awaits. A ball guided down the left-hand-side will set you up for the perfect approach. Trouble left and right of the tee leaves only one option. After placing your ball with precision, a second shot to a tight green protected by the bunker short left awaits. One of the easier holes on the course ? unless you?re above the hole when the greens are running fast. A short to mid-iron (depending on wind) to a large green with bunkers on the right. What appears to be an easy tee shot to a wide fairway is quite deceptive. 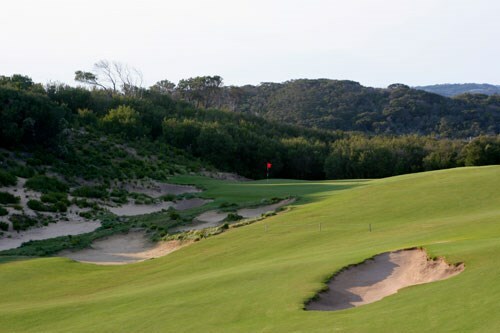 The fairway which slopes left to a large area of rough and tea tree, allows only a small landing area up the right-hand-side. Your second is to a small green but is quite open. 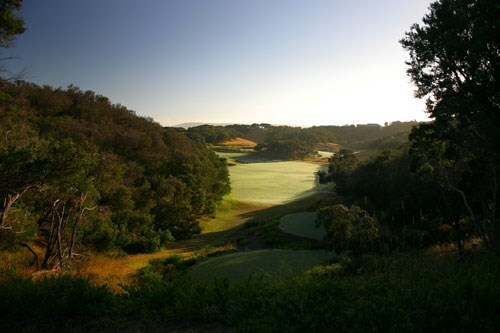 One of the most picturesque holes on the course with panoramic views of the bay from both tee and green. 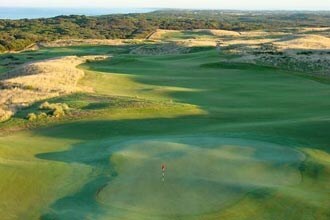 A large green protected by bunkers on the right and grassy undulations on the left ? a real challenge on a day when the wind blows on this exposed hole. A straightforward hole which is reachable in two for the long-hitter ? aim up the right-hand-side of the fairway to avoid trouble. After negotiating the strong dogleg right which is protected by large trees, you are still faced with a challenging shot up a steep slope to the relatively small green. 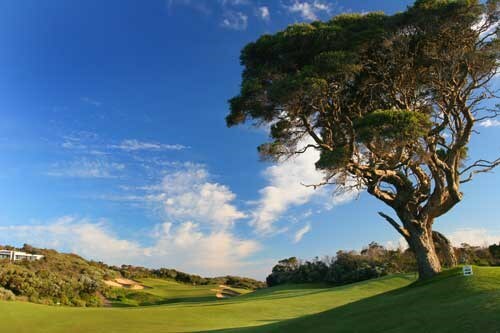 After guiding your ball through the gums that surround the tee, a fairly large and receptive green awaits your ball. Short and right you have a bunker to contend with. Long and you face a very difficult return up a steep slope to a fast green that slopes away. The longest par four on the course. A straight, wide fairway with a large elongated green to finish. Easy to reach in a north westerly ? nearly impossible in an easterly. A reasonably straightforward hole. The right-hander needs to avoid a slice off the tee to avoid a watery fate. For the second shot, short right a bunker awaits, long and left another chance to test your fate with the water. 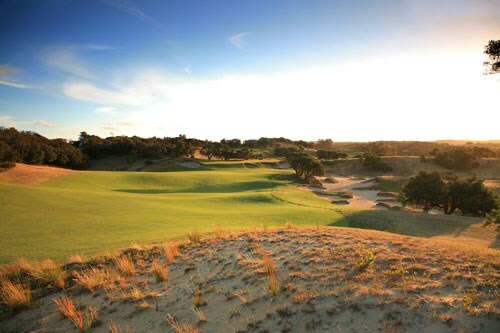 One of Mornington?s signature holes. Either lay up short of the fairway bunker for a mid to long-iron approach or take on the corner. 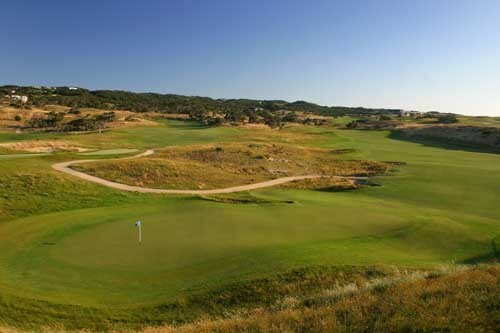 The undulating green is protected by a series of bunkers, short left and right, and long right. The second hole of ?Amen Corner? which includes fourteen through seventeen. 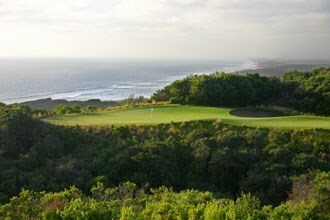 This hole traverses the cliff top with an undulating fairway to a protected green. Degree of difficulty is ten with a south westerly blowing. Known as the ?volcano? for obvious reasons when you stand on the tee. A relatively short shot to a large green should not prove too much of a challenge if you can put the bunkers and gully in front out of your mind. Difficulty increases with wind on this exposed hole. The start of the homeward stretch. A straight tee shot will set you up nicely for your approach to the tiered green. A slight dogleg right leads you back to a grandstand finish at the clubhouse. If you can keep your ball straight the only trouble is the bunker short left of the green, or if you hit it long on a Saturday afternoon, the gallery will have plenty of advice! 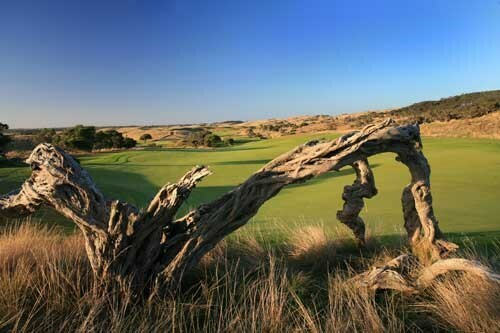 RACV Cape Schanck Resort's 18-hole championship golf course was designed by American Robert Trent Jones Jr. in the late 1980's, created among rolling sand dunes and surrounded by national park. 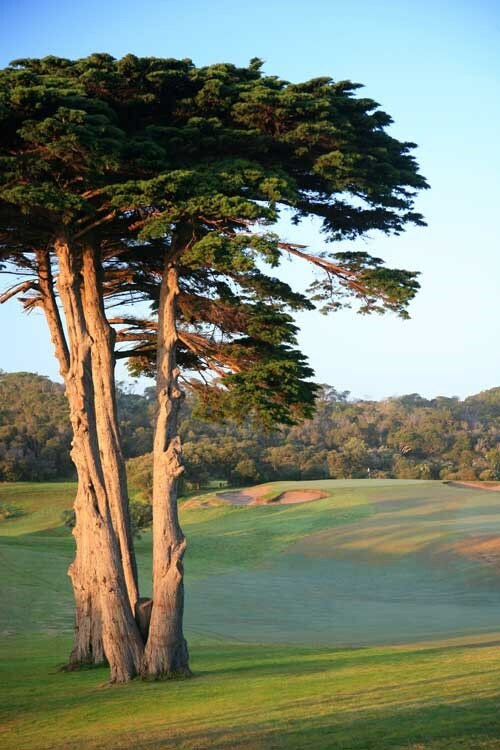 Perched high on one of Australia's most spectacular coastal headlands, the course boasts stunning cliff-top views over the majestic Southern Ocean and Port Phillip bay. 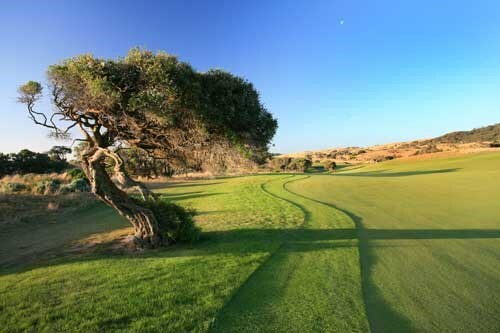 The challenging design and breath-taking scenery combines with the course's brilliantly manicured greens and fairways to provide a fantastic backdrop for an enjoyable day's golfing. 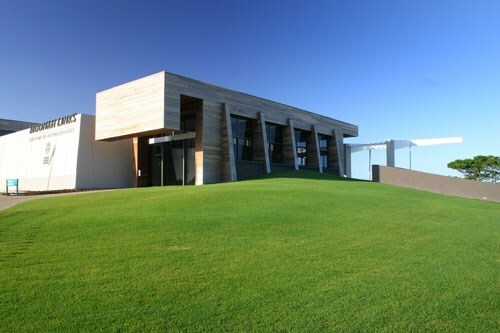 Located on Victoria's Mornington Peninsula, RACV Cape Schanck Resort offers all the ingredients for a spectacular coastal holiday, conference, social event or wedding! 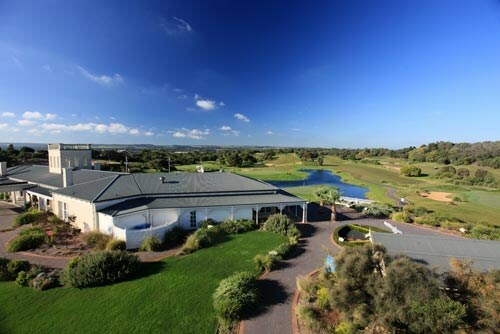 Just a 75 minute drive from Melbourne, RACV Cape Schanck Resort offers stunning views of Bass Strait, Port Phillip Bay and beyond and is the perfect base to explore the wineries, beaches and villages of the Mornington Peninsula. With a total of 82 bedrooms, comprising of a choice of recently refurbished stylish ocean and premium ocean view rooms, 2 bedroom executive ocean view suites and 2 or 3 bedroom self contained villas, the resort can cater for a variety of groups. All rooms are exceptionally spacious complete with ensuite bathroom, private balcony, individual heating/air conditioning system, Foxtel and 42 inch plasma televisions. Villas and executive suites also have a spacious and fully equipped kitchen. 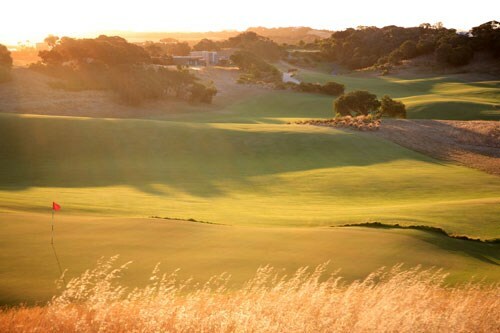 RACV Cape Schanck Resort’s magnificent 18 hole, par 70 championship golf course is consistently rated among Australia’s best 100 courses. 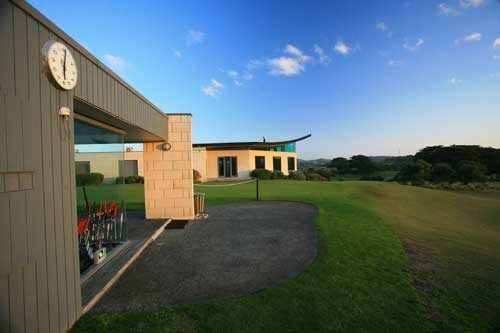 The resort also offers an on-site driving range, complete with grass tees, practice bunker and putting green, a full chipping and pitching area and a fleet of motorised carts for hire, plus a range of on-site recreation facilities including tennis courts, games room, pool table, heated swimming pool and spa, sauna, school holiday children’s activity programs and a 4km jogging track. 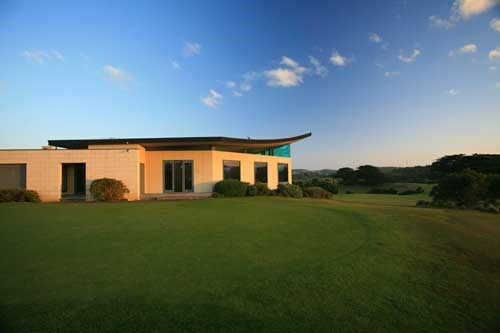 The magnificent golf course vistas can be enjoyed from the comfortable surrounds of the restaurant with stunning a la carte cuisine and an outstanding wine list, or the informal Golfer’s Lounge and Terrace which offers a tapas style menu, snacks, casual meals and beverages throughout the day in a cosy environment. 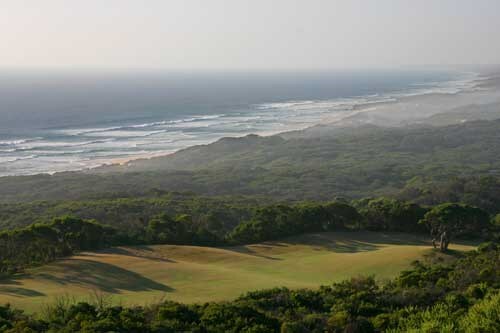 Designed by renowned course architect, Robert Trent-Jones Jnr, the resort course features huge greens, large open bunkers, tree lined fairways and spectacular ocean views on eleven holes. With excellent drainage and superbly manicured greens and fairways, the course provides year-round high standard playing conditions. Course distance markers and a colour coded flag placement system are provided. 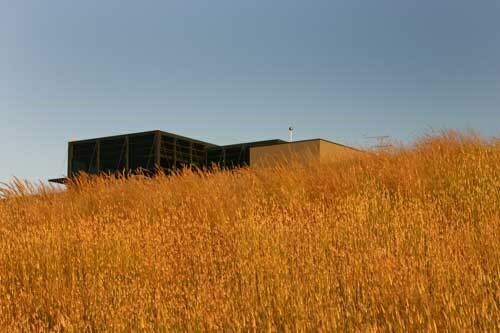 The on-site driving range boasts grass tees for an authentic driving experience. 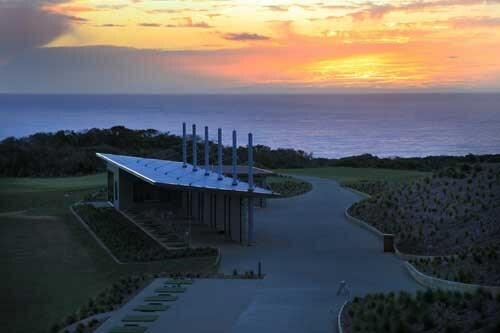 RACV Cape Schanck Resort offers all the ingredients for a successful conference, social/charity event or wedding, within a stunning coastal environment. The resort’s modern conference and event facilities offer two large conference rooms, a private function space and four meeting or break out rooms with an abundance of natural light. 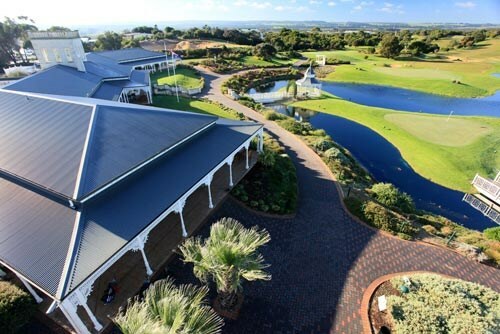 The resort’s unique location also lends itself to interesting activities and team building exercises and it plays host to fabulous domestic and international conferences as well as corporate golf day events." All up hill. This hole plays a lot more difficult than its par and is rated accordingly. Heavy bunkerage on the left of fairway and just short of the green place emphasis on accuracy and the right choice of club. Take plenty of club for the second shot to the elevated green and to carry the bunkers. The longest hole on the course, a definite 3 shotter. Position your tee shot over or to the left of the first bunker. Keep the second shot to the right of the fairway for an easier approach to the large green. The road way on the right is out of bounds. 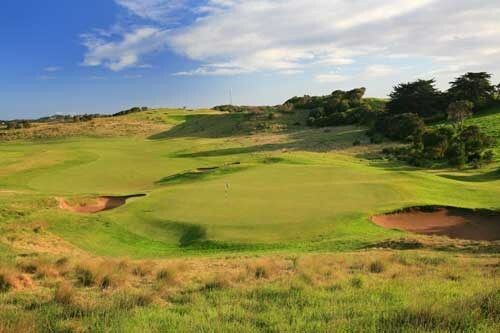 Often affected by wind this hole plays deceptively long with the most trouble being the deep greenside bunkers. A long green, a shot to the centre should secure par. A shorter par 3 with the two tiered green heavily bunkered on the right and left. This is another hole where distance is deceptive and which is considerably influenced by the wind. A straight forward par 4 that plays longer than its yardage. Watch for the bunker on the left off the tee. Play to the right of the green to avoid the bunkers on the left. The roadway left is O.O.B. 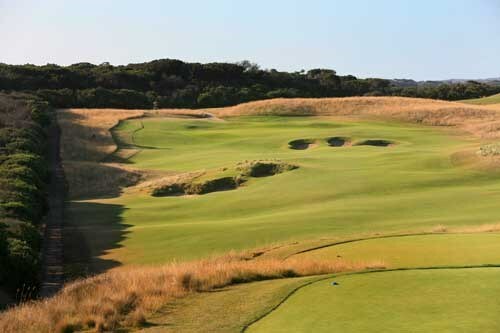 This dogleg left has one of the toughest greens in golf - measuring 76m in length with several swales. A drive toward the fairway pots will provide a line into the green. That's when the fun begins. Forms front to back of the green there is approx 6 clubs difference. 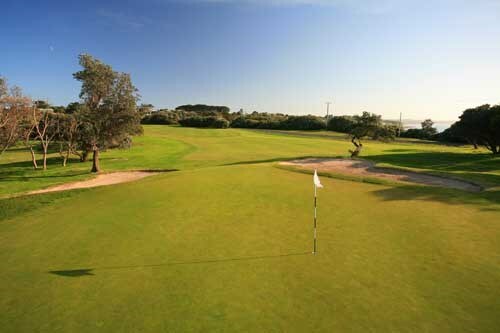 Take time to choose the right club as a long putt on this green is difficult to judge. A very challenging but scenic short hole. Keeping your ball dry is your first concern. Positioning of your tee shot is important because of the steep undulations on the green. When putting the ball will always fall towards the water. On of the longest holes with difficult carry off the men's tee over water and fairway bunkers. Strategy is to drive to the right side of the fairway. The second shot, if possible, is best played to the right side against the right to left slope and away from the string of pots on the left. Aim for left centre of green to avoid the deep greenside bunkerage. Position your tee shot towards the left side of the fairway. If you want to take on the corner beware of the right hand fairway bunker. Distance for the second shot to the well bunkered green is deceptive. It's longer than it looks. Take plenty of club. A short but demanding par 4 particularly if the pin is placed top right on the green. Direct your tee shot to the centre of the fairway avoiding the traps on the right which extend up to and protect the right of the green. Play to the left or centre of the green which is fast from right to left to save shots. A challenging drive just to reach the fairway. Once negotiated the second shot to the uphill sloping green is deceiving and you will be wise to use an extra club. Both roadways, right and left, and the buildings on the right are out of bounds. The driving area looks narrow from the tee but widens out after 100m. Keep left of centre to get a better view of the green. It pays to go forward to check the pin position before playing your second shot. Try to avoid a downhill putt on this treacherous green. A straightforward hole that calls for a long straight drive to avoid the hill on the right which falls away and is heavily treed. Play the second shot to the left of the green to use the slope and keep away from the bunker on the right. Check the pin position on this long green. A beautifully scenic hole played from an elevated tee to a three tiered green. More effected by wind than any other hole, the green can be hard to hit. 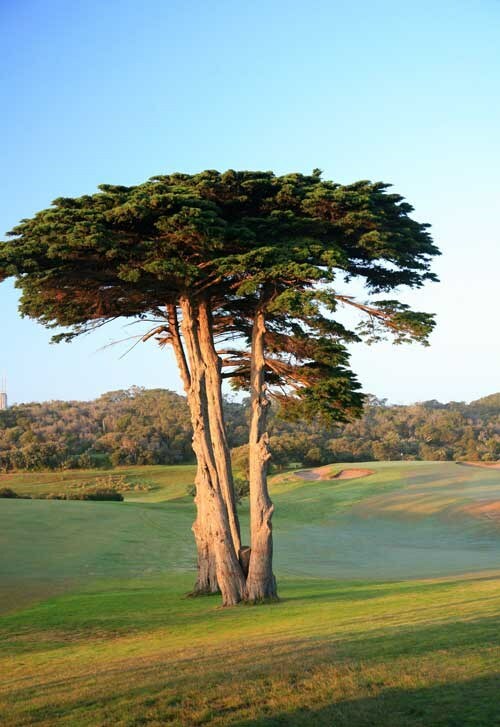 Play it straight as trees on either side will gulp up any wayward balls. Rated the most difficult hole on the course, this dogleg left with out of bounds on the right, puts maximum pressure on the tee shot for all standards of golfers. The key is to aim for the centre left of the fairway. The second shot is to a well bunkered, elevated green. Take plenty of club to hit over the bunker to the centre of the heavily undulated green. Main trouble for this shorter hole is on the green. There is very little chance of a straight putt. Aim to the left centre and below the hole to improve your chances on this testing green. Play this par 5 hole strategically and a birdie is well within reach. Play the first two shots left of centre to give yourself a clear third shot into the green. Even the better golfer is not advised to attack the green in two, so don't be tempted to take on the corner. A tricky hole to finish on. Accuracy from the tee is all important. Deep trouble awaits a wayward shot to the right. A drive placed toward the left hand fairway bunker will set up a short approach to the two tiered green which is one of the smallest on the course. 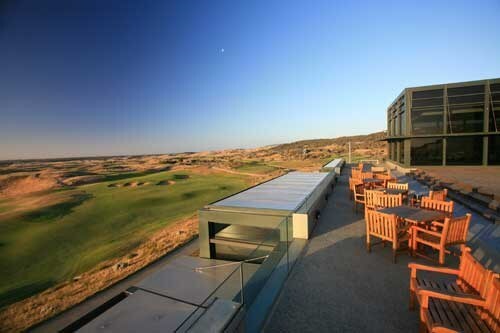 One of Victoria's premier play, stay and dine destinations. Two superbly maintained 18-hole golf courses, four-star accommodation and the award-winning View Restaurant open for lunch and dinner seven days a week. 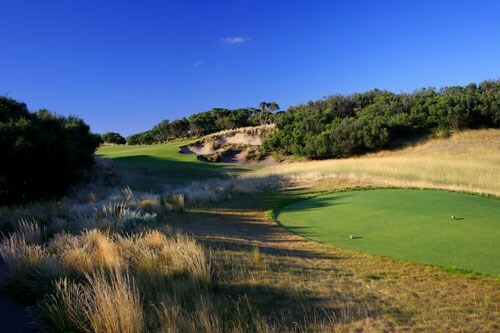 Both courses are ranked in Australia's top 100. Groups bookings taken throughout the year. 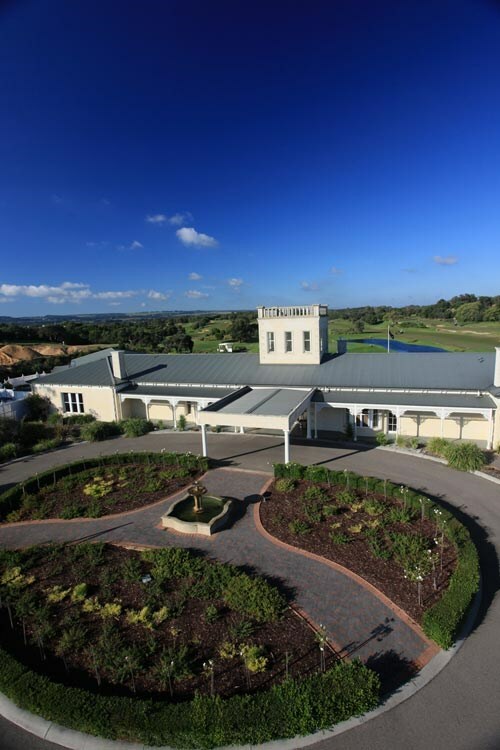 Rosebud Country Club is located in the heart of the beautiful Mornington Peninsula, an easy 80-minute drive from Melbourne. 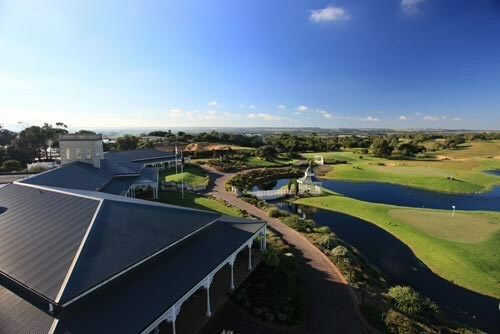 Two superbly maintained 18-hole golf courses, four-star accommodation and the award-winning View Restaurant open for lunch and dinner seven days a week. 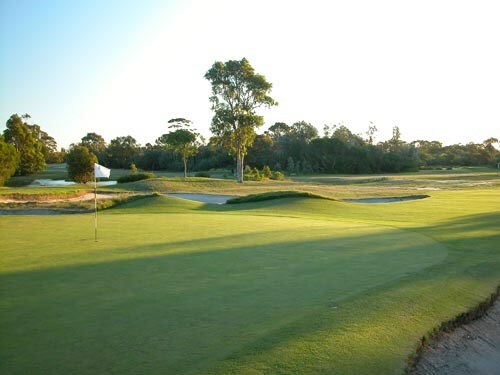 The North course, host venue for the 1974 Australian PGA Championship, is framed by large pine trees while the South course boasts expansive greens with generous fairways. 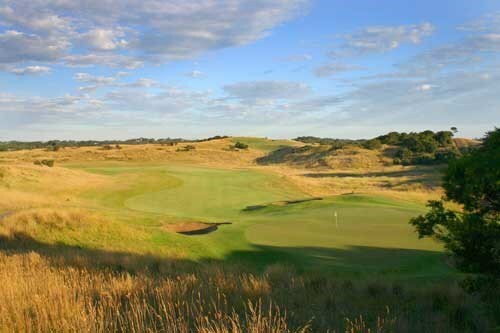 Both courses are ranked in Australia’s top 100. Groups bookings taken throughout the year. 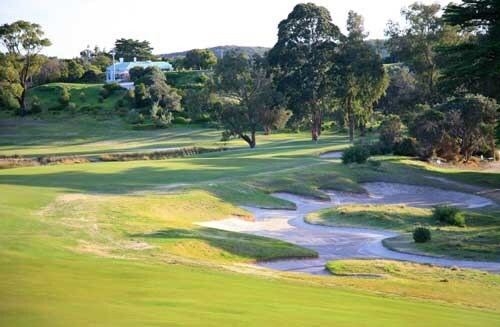 Sorrento GC is a well groomed, hilly course with all year playability set on a sand and limestone base. It's generous fairways and rough are surrounded by densely wooded plantations, and bent grass greens are moderately to heavily bunkered. 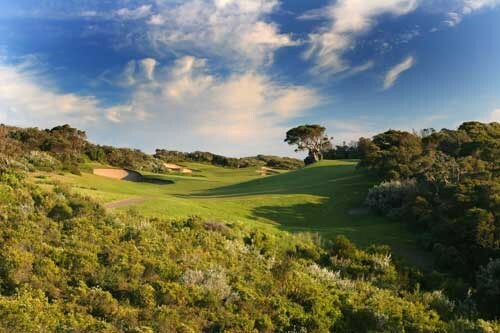 The Sorrento Golf Club is a well groomed, hilly course with all year playability set on a sand and limestone base. It's generous fairways and roughs are surrounded by densely wooded plantations, and bent grass greens are moderately to heavily bunkered. 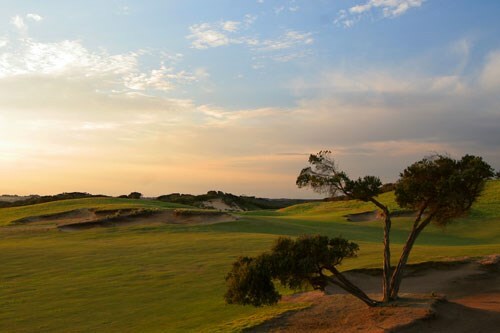 When Melbourne's early stalwarts travelled to the Mornington Peninsula for their holidays, they took their golf along with them. 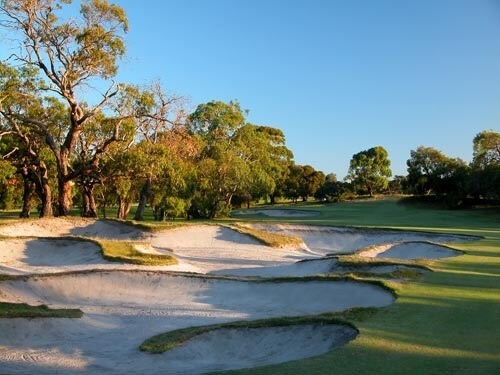 The Sorrento Golf Club became the "Royal Melbourne of the South", a course built on classic lines, borrowed from the original, for the joy and pleasure of golfers good and bad - 18 holes, each with a character all its own, challenging you to a rematch, over and over again. 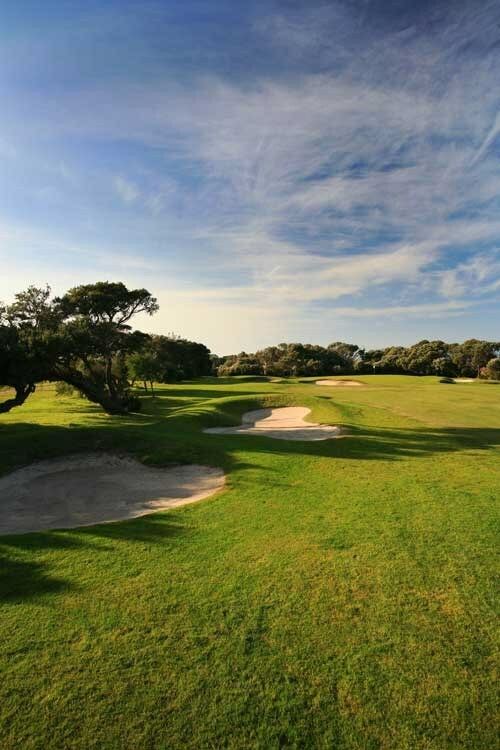 The magnificent fairways, manicured greens and undulating terrain make Sorrento Golf Club one of Australia's top seaside courses. 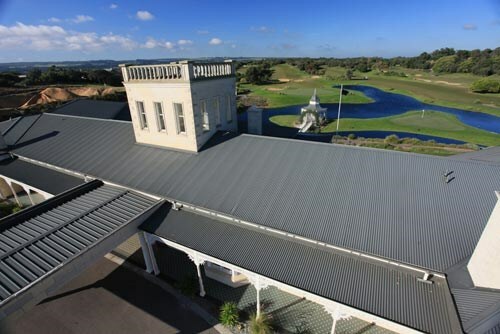 It is also one of the Mornington Peninsula's most established golf clubs, and is now experiencing greater popularity thanks to the increased exposure of the region. 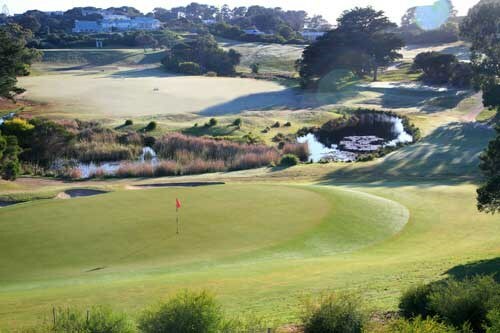 The National Golf Club - Long Island site is located on the southern edge of the famous Melbourne Sandbelt and the beginning of the Mornington Peninsula. 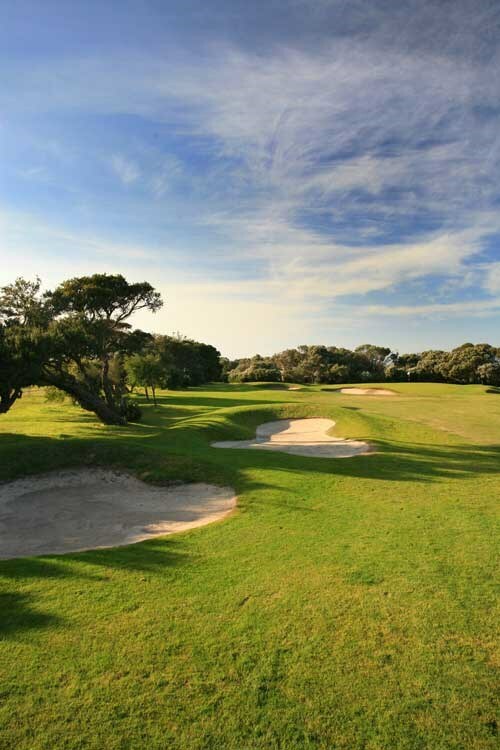 This private members club, with bent grass greens and couch fairways shouldered by ti-treed fairways and majestic manor gums is a jewel in the Peninsula's crown. 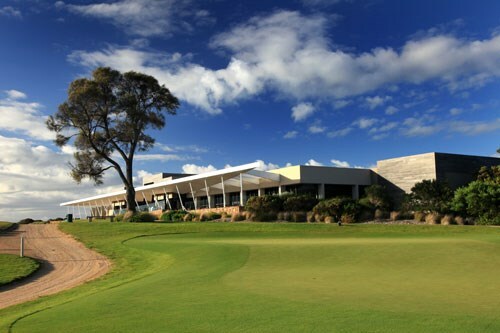 The National Golf Club (Long Island) is located on the southern edge of the famous Melbourne Sandbelt and the beginning of the Mornington Peninsula. 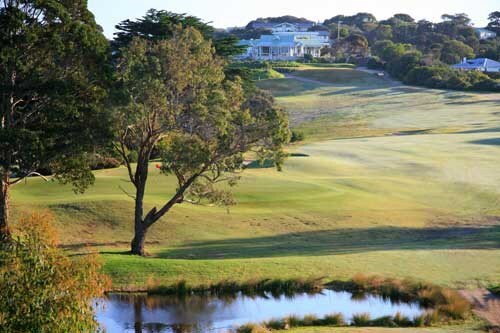 This private members club, with bent grass greens and couch fairways shouldered by ti-treed fairways and majestic manor gums is a jewel in the Peninsula's crown. The course offers a combination of bunker laden par 3 holes, mid to long length par 4 holes and a number of par 5 holes which snake both left and right to reach their ultimate target. Long Island is situated only 35km from the centre of the city and the mostly freeway drive makes this an enjoyable trip. 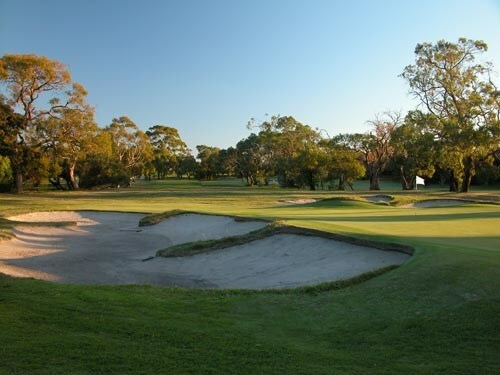 The recent facelift of a number of holes has added an extra dimension to the course and also provided another challenge in the form of a beautiful lake and wildlife ridden wetlands. 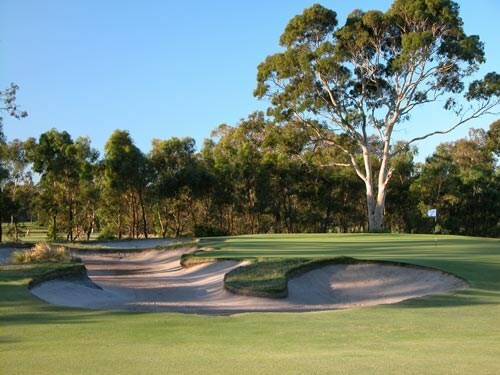 Being a sandbelt course the course offers excellent drainage all year round and this soil also promotes good couch grass growth on the fairways. Soft opening hole, make the most of this warm up opportunity because you will need it. Long iron down the left side of fairway mid iron into green. Don?t miss green on the right as this may be very costly. Drive down the right, keep clear of left as bunker and out of bounds loom. Short iron to green, no real problems here. One of golfs great par threes, well bunkered and no bail out options. Grit your teeth and go at the flag. Be bunker prepared. Tough par five well bunkered at the drive and again at the green. Drive right side of fairway but be careful not to get bunkered. Lay up second with long iron and again stay right and again be careful of a well located trap 150m out from green. Mid to short iron into well bunkered and well contoured green. Par is a great score here. Blind tee shot but go straight, left makes second shot difficult and right means reload. Unless you are perfectly placed you will need to lay up with mid iron otherwise have a go at the green. Deep bunkering around the green is where the real difficulty lay, again be careful here. If the wind is blowing from the east this will play like a par 5. Incredibly tight driving hole but you must take driver to have a chance of getting home, another shot that tests what you are made of. Long to mid iron into green which is the proverbial upside down saucer shape with excellent bunkering. Clearly the most difficult hole on the course. By now I bet you are wishing you made better use of that warm up hole. Another difficult hole with more yet to come. Drive left of the fairway trap and approach the green with a mid iron. Be sure to position yourself below the hole as this green gets tricky. Playing it the first time you may not respect its worth but believe me if you make par you have picked up a shot on the field. Drive short with 3 or 4 iron and then approach with sand iron. Be sure to be using a balata covered ball here and all I can say is good luck. Nice little par three, short iron in but don?t miss the green. Danger looms long and left. Another blind tee shot, look carefully and you will see a bunker on the left. The hole dog legs sharply left at this point. Drive right of the bunker with a long iron. Approach green with mid iron. Visually very pleasing, hope your score is as well. Have a breather you deserve it you have just survived the toughest stretch of eight holes that i have ever played. Drive right of centre and approach with short iron, right side of green is the place to aim for. As with all the par threes on this course this is another very pretty hole. About a seven or eight iron into a well bunkered green. Aim for the centre and do not miss the green on the same side as the pin is cut. The most visually pleasing hole on the course. It is amazing what effect a bit of water has. Play carefully and enjoy the view. Drive left of fairway trap and if you are a long hitter have a go at the green. Otherwise lay up either short of the bunkers or in the area to their right. Another strong hole. Miss hit drive could find water and anything right is good night soldier. Drive to the crest and stay left of the fairway bunker. Long to mid iron into the smallest green on the course which also happens to be very well bunkered. Care is required on the green, read your put well. Another of my favourites. Premium here is on the drive. Need to position the drive on left for best shot in however this is where most of the trouble from the tee is. Make a choice, easy first shot and hard second or hard first easy second. Make sure you finish below the hole with your approach. Fairly straight forward hole however do not miss the green long and left. You can not get up and down from there. Good strong par 4. Drive left of centre but stay on the fairway. The couch rough on this hole is murder. Mid iron into a viciously sloping green requires a crisply hit iron. Important to be below the hole. Not an overly difficult finish hole, but if you are playing a match it makes for an interesting finish. Birdie is not out of the question nor is bogey. Take time to view the majestic clubhouse on your walk up this fairway. 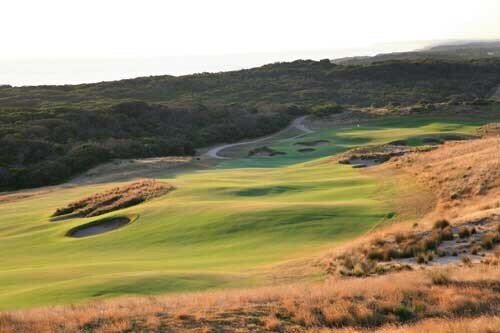 The National's Ocean Course opened for play on 26 December 2000 and is a classic Thomson, Wolveridge and Perrett design. 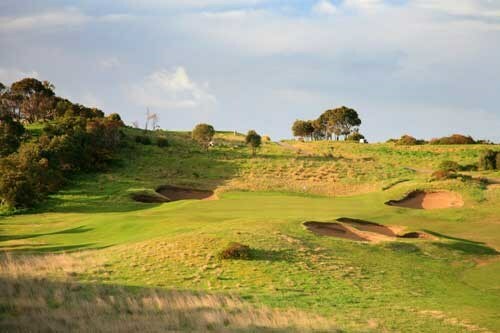 Many Thomson courses include links style pot bunkers placed strategically in the middle of fairways tempting the golfer to go for it (and be rewarded if successful) or lay up (and face a longer shot in for your approach). 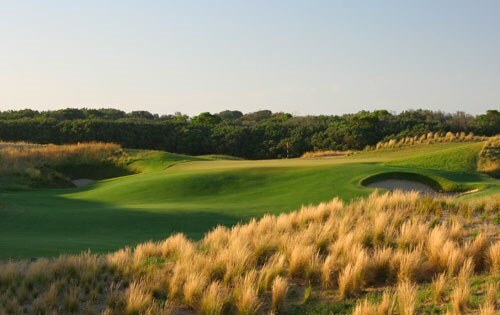 The Ocean is no exception and many of the green surrounds also are framed by this style of bunker. 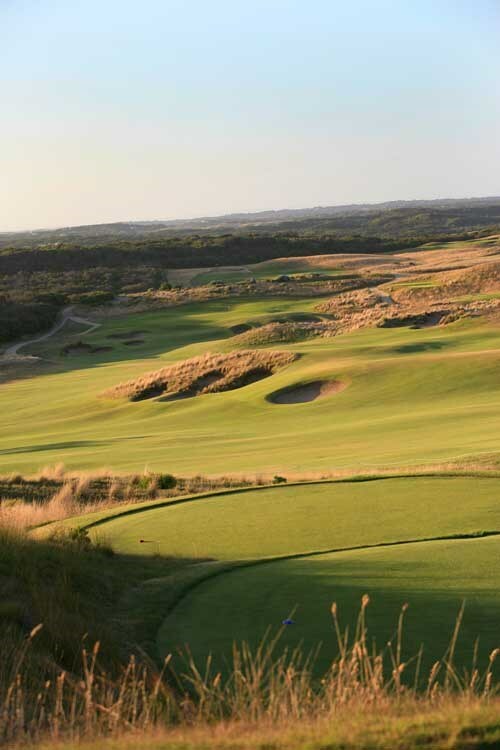 The Ocean Course, whilst located next to the Moonah Course, is a complete contrast to its neighbour. 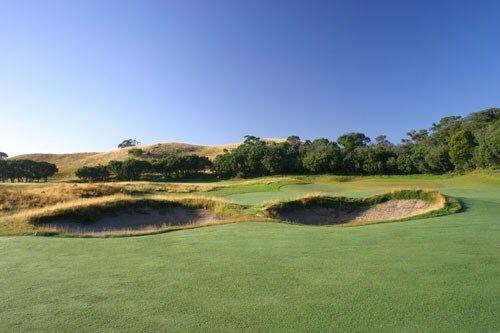 The course, opened for play on December 26, 2000, is a classic Thomson, Wolveridge and Perrett design. 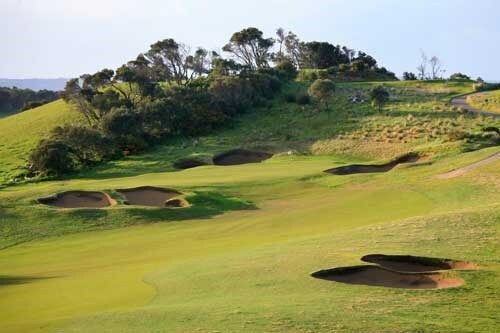 Many Thomson courses include links style pot bunkers placed strategically in the middle of fairways tempting the golfer to go for it (and be rewarded if successful) or lay up (and face a longer shot in for your approach). 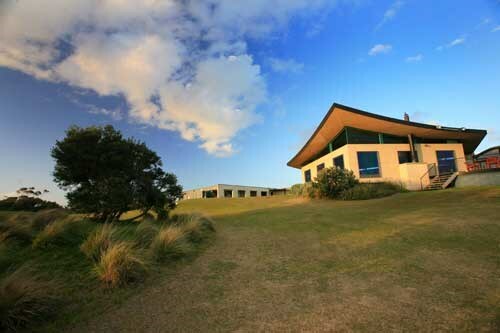 The Ocean is no exception and many of the green surrounds also are framed by this style of bunker. 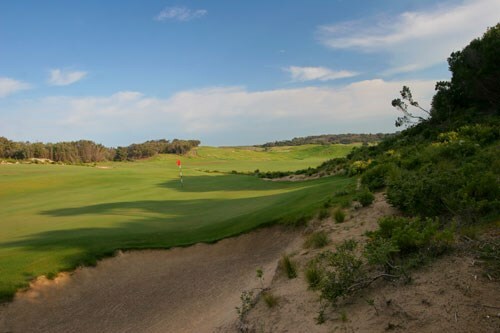 The course is a gentler test than the Moonah with a number of short par 4's but still has its fair share of tougher holes. 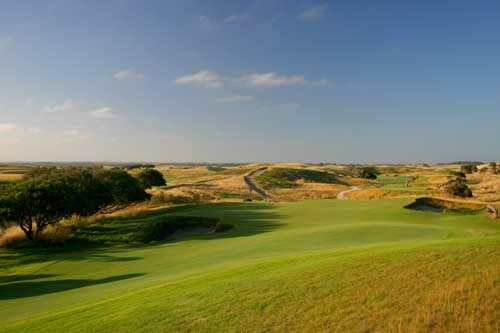 The opening hole is a medium length par 5 played from the highest point in the course alongside the clubhouse. The view from the tee shows the layout of the course and hitting a good drive on this hole provides a realistic chance of hitting the green in 2. The split fairway tempts the big hitters to take the short line and be rewarded or play the more conservative route and less risky. A number of greens on the Ocean provide a testing putting challenge as they contain severe slopes which can easily lead to a 3 putt (or worse). A good rule of thumb is better to be below the hole than above. A number of holes provide realistic birdie chances and in particular a few short par 4 holes (6th, 13th and 15th) offer the long hitter the chance to drive the green. But as is often the case with these types of holes if you go for it and fail you will be severely punished. The tough 18th provides a finishing hole where par is a very good score. Played into the prevailing wind the 18th is over 400 metres with a tight driving area flanked by bunkers and a slight uphill approach shot. 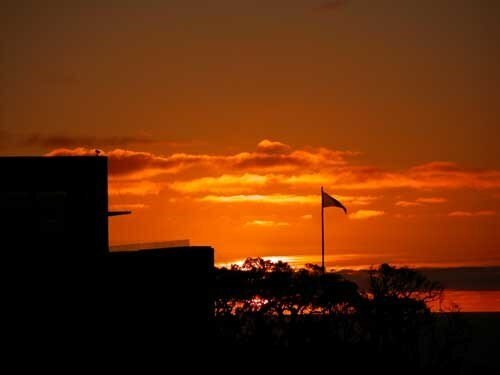 The multi million clubhouse stands ominously over the 18th hole and the happenings on the hole below provide a constant source of amusement for members in the clubhouse relaxing over a drink after their game. Choose either the high side or low side and drive confidently, as the green may be reachable in two if the wind is with you. Otherwise lay up to the 100 metre mark for your best option. The shot into the raised green must be full and bold, as the slope at the front catches the weaker shots, and sends them back down the hill. Only the long hitters will be concerned about the fairway bunkers, so a drive at them or just right will leave you with the best approach. The green here is also set high, so once again be bold with the shot into the green, perhaps taking one more club, as any shot left or short may roll well back. A par 3 is a good score here. A very hard green to hold if the pin is on the right, and two deep bunkers guard this side, so perhaps it is wiser to be left of centre, and if the green is missed, then it leaves an easier up and down for par. You must not flirt with the quarry (unless playing the front tees with the wind behind). Left centre of the fairway is preferred for a longer but simpler approach. The green is unguarded but tricky, and it slopes from right to left. If the conditions favour a carry over the fairway traps, do so and be rewarded with a short iron into an elevated green. A full approach to the heart of the green is required, as anything short or right will surely roll back, leaving a very difficult chip. The left side of the green may be the safer side to miss. Avoid the fairway traps here. The wind direction may influence your decision to use driver or just an iron off the tee. Ideally your drive will leave you a mid iron to a green that slopes severely left to right. Be careful also of the deep hollow at the front of the green. Stay just left of the fairway trap with the drive and the slope will sweep the ball long and left to the edge of the fairway. Difficult to reach in two, so lay up to the 100 metre mark. A bold full shot uphill to the difficult two tiered green is required. A par five here is a good score. The safer line is the left half of the fairway. Only the bold long drivers will play down the right. A long second to a partly obscured green awaits. If you lay up, just short and right of the green will give you the easiest chip. Rated as very difficult, so a bogey is not that bad a score. Long uphill shot to a tricky green. Better to miss on the right side for a slightly easier up and down. The bunkers on the left must be avoided as the green slopes away to the right. Also rated amongst the most difficult, so par is a good score here. Plenty of room on the right side of the fairway, and if you catch the downslope, you may have a shot at reaching the raised green in two. If laying up, the right side is preferred for a better angle into the green. A bold shot that carries to the heart or the back of the green is required. Short and left is to be avoided, as the ball will be swept away down the slope. Better to have a long putt from the back of the green than a difficult chip from off the green. A long drive to the right half of the fairway sets up the best view and approach to the green. 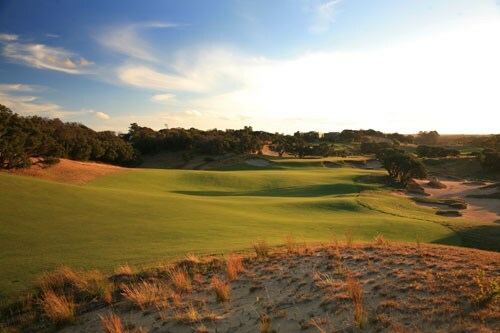 A big sand dune obscures your view of the green if you are too far left with the drive. The right half of the green is also preferred, as anything too far left may sweep off the putting surface. 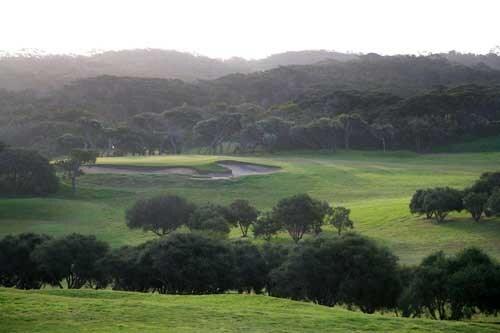 The ideal drive will be in the right centre of the fairway on this straightforward looking short par four up the hill. The danger is in choosing the right club into the two tiered raised green, and the shot requires some nerve. It is open and exposed to the elements. The middle of the green is the safest option here, no matter what the pin placement. The green is set high on a ridge, with the clubhouse in full view. Concentration is required, as any shot long or short will be punished. 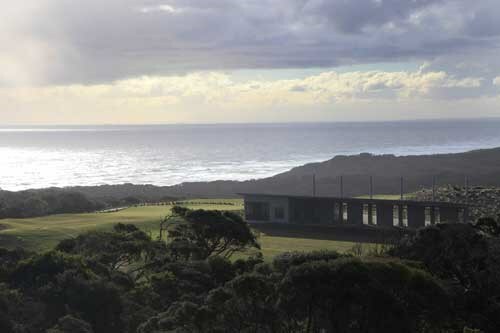 Take in the panoramic view of the coastline, and then drive into the left of the fairway. 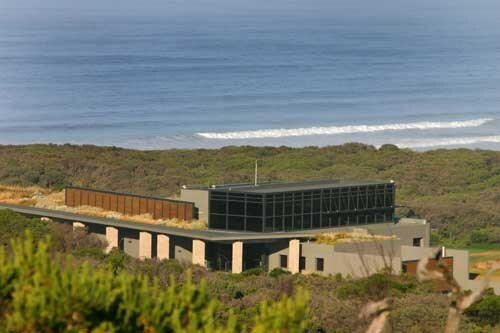 The large undulating green is only visible from this side, and is set deep into the sand dunes. You can choose a low running approach, or a full shot with a short iron. The fairway pot bunkers must be avoided, with the ideal line being down the left side. The green is raised and open to the elements, so caution is required. Whether you choose a low running pitch or a high full shot, you must play to the right side of the green, as everything sweeps from right to left. A long confident shot into the right side of the fairway is required. From here, lay up into the bottom of the valley. Take heed of where the pin is placed though, as you may not be able to see the flag from down there. A bold, full shot is needed into the green, as anything short will come a long way back down the hill. A daunting prospect here, with the clubhouse in sight, and your two very best shots are required to reach the green. The bail out area short and left of the green is quite wide, but leaves a tricky chip to a long narrow green. A par four will be a very satisfying finish to the round. This apartment offers everything you require for a luxurious holiday, whether it be a short stay for a weekend of high quality golf, or an extended beach and golf holiday for the whole family. 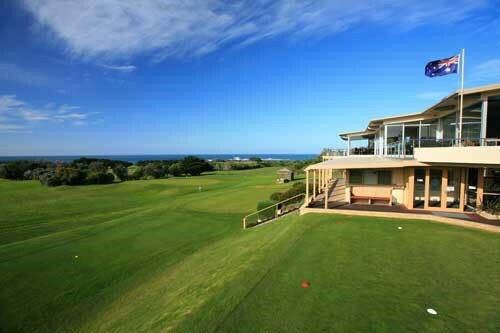 The unit is located right on the Cape Schanck Resort golf course, backing on to the 18th fairway. 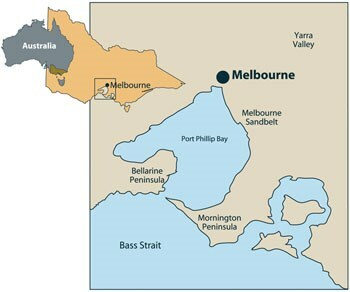 The Mornington Peninsula is a boot shaped peninsula located 85 minutes southeast of Melbourne. 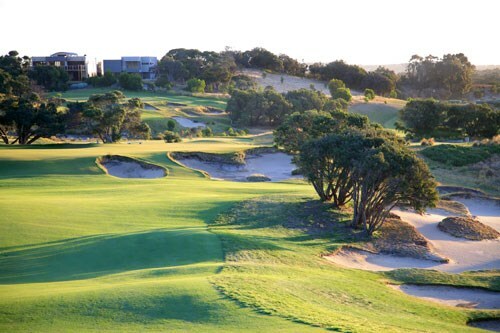 With a number of exciting golf projects recently finished or under development it the fastest growing golf region in Victoria (and arguably Australia). 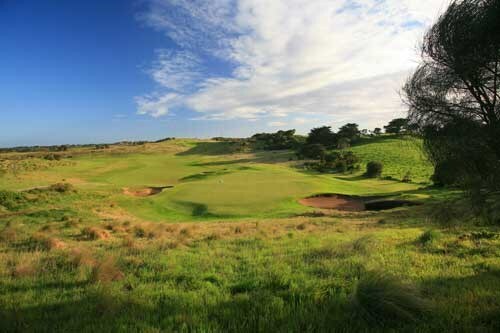 The Mornington Peninsula comprises at least ten courses ranked in Australia's Top 100 golf courses. 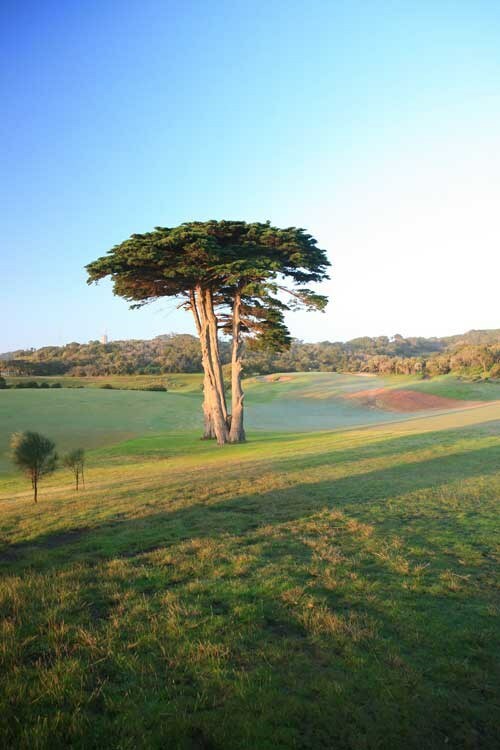 The natural, sandy soil is ideal for golf, with rugged coastal conditions providing golfing experiences akin to the famous links courses of Ireland and Scotland. At the centre of this region lie a number of courses in an area known as "The Cups". 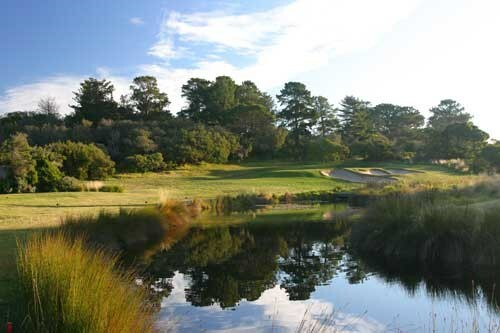 The National Golf Club is a 54 hole private members' golf club, providing three distinct golfing challenges (Old Course, Ocean Course and Moonah Course), and through GOLFSelect, privileged access for Interstate and International guests. The three courses have been designed by 3 of the world's leading golf architects - Greg Norman, Robert Trent Jones Jr and Peter Thomson. 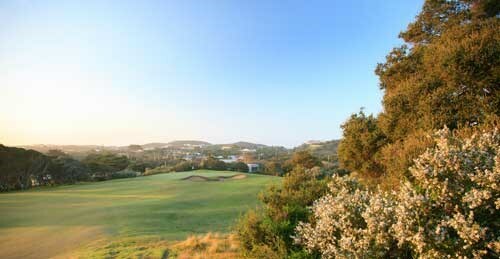 As such the 3 courses, although located very closely to one another, offer the golfer a range of golfing experiences. 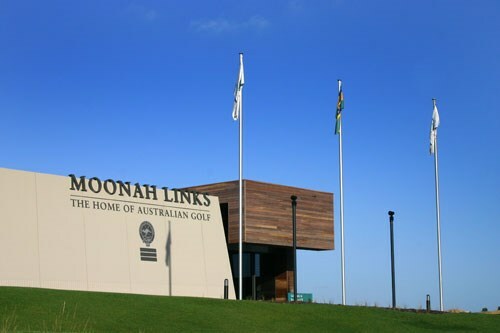 For the keen golfer Moonah Links offers the ultimate championship playing experience. 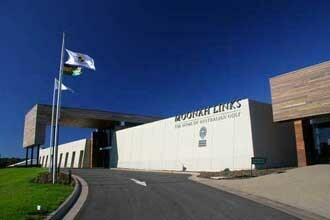 The course has played host to the Australian Open on a number of occasions and is the new home of Golf Australia. 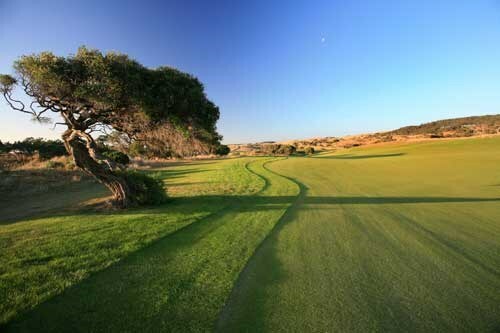 This testing golf course features lengthy par 4 holes, tight fairways and heavily contoured putting surfaces. The Legends Course is also complete and offers a different golfing test (one that in many ways is more enjoyable). Further down the road lie more golfing challenges. 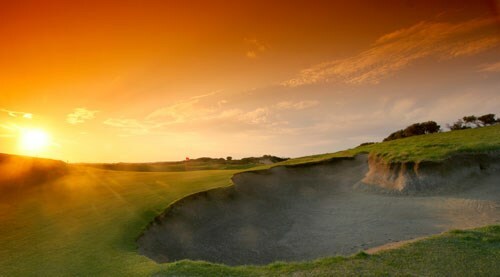 The Dunes is a true links course offering making you feel as though you are playing golf in Ireland. 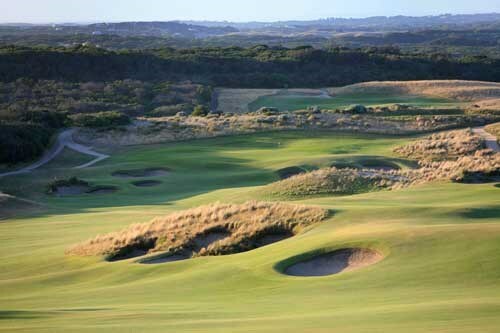 Holes are cleverly carved through enormous grass covered mounds and the natural bunkers have been shaped by the wind. 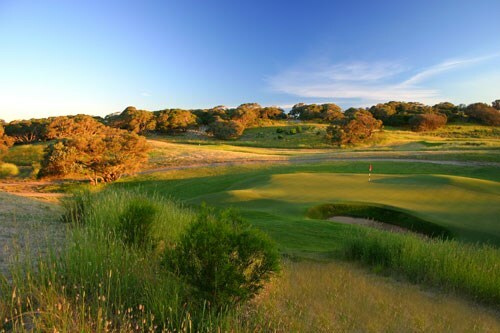 Portsea, Sorrento, Flinders, Eagle Ridge and Cape Schanck are further examples of courses providing memorable golfing experiences. 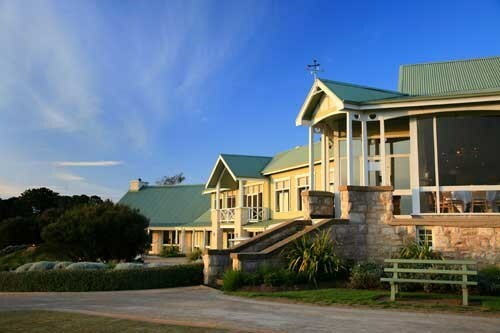 The region is also famous for its wineries and our range of tours combine exceptional golf with wineries producing some of the finest wine in the country - a combination that is hard to beat. 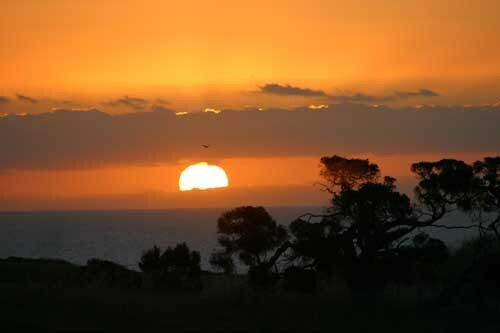 Below are some useful facts and figures for the Mornington Peninsula Region. Use these to work out the best time to visit this region.